challenge - you can definitely sing if you want to. Stamping Bella - Brittany The Birthday Girl. I have coloured her with Copics and gone for a much simpler design than I usually would, mainly because Brittany is absolutely gorgeous and deserves all the limelight! I used some papers from Pink Paislee Pen Pals Collection and die cut some letters for the birthday sentiment. Finally I could n't resist adding some pink Doodlebug sprinkles - well it is a celebration after all! 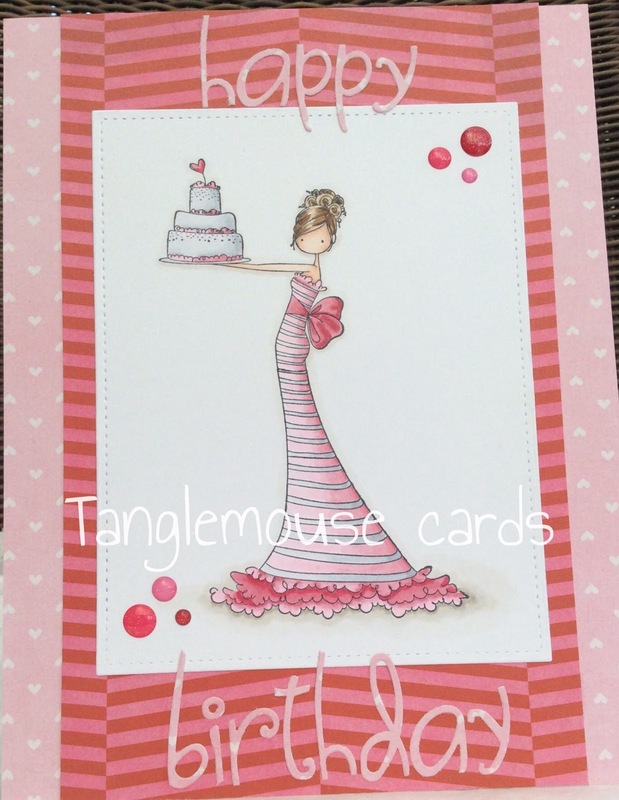 to look at the other lovely DT Creations, join in with the pink fun and sing Happy Birthday! Beautiful card Sue - stunning colouring of that fabulous image and I love the CAS design. Happy Birthday to In the Pink - here's to many more to come. Beautiful card Sue. It's a lovely stamp and these colours are gorgeous. Your card is gorgeous Sue... I'm loving that Uptown Girl of course, I do like an Uptown Girl or two... and her dress........ wow!! A truly gorgeous card! A lovely CAS design Sue and beautiful colouring of that Uptown Girl image - fabulous. This is just gorgeous Sue. Love the colouring! Gorgeous! Love this image and a real beautiful CAS design! 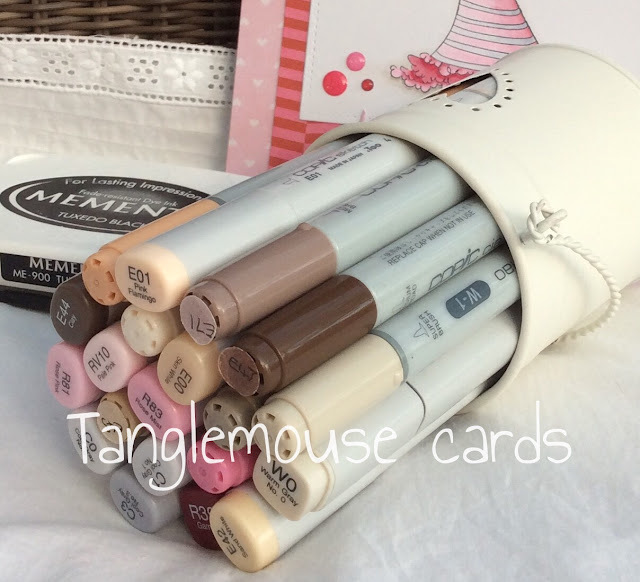 Fab colouring and love the enamel dots! Lovely card Sue, I love that image but I think the dress scares me slightly! !